In the case of the Air Forte interconnect the high-frequency extension is clear and linear. The high-frequency extension is defined by the electro-static field, more usually known as the capacitance. The capacitance of the air forte is a remarkably low 5pf per foot. The inductive reactance known as inductance is also remarkably low. 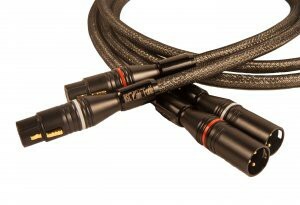 This means that the Air Forte interconnect is 200% – 300% greater linearity with frequency than similar priced cables. The sound of the Air Forte is completely neutral and very revealing with high frequency and airy detail.